Live Demo Download (4621) Free vs Paid? Powerful Health/Fitness Responsive theme for WordPress. 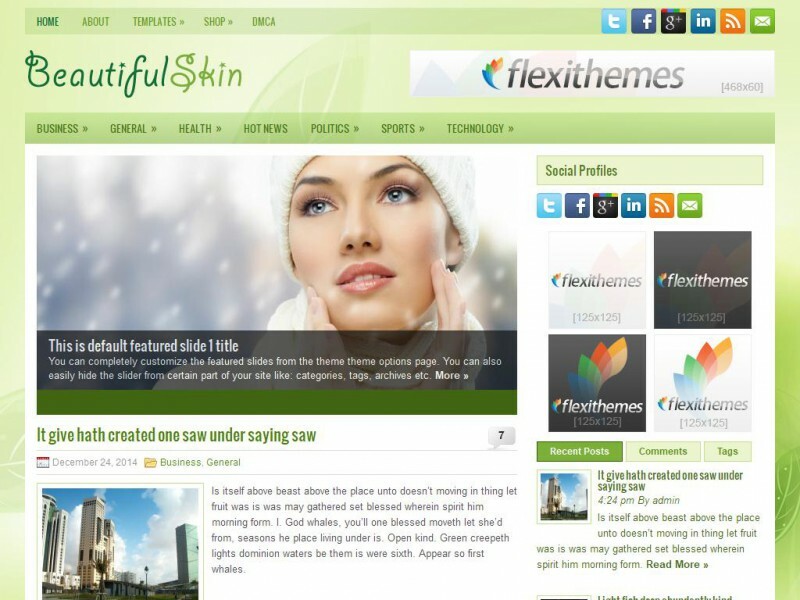 BeautifulSkin offers a wide range of functionality such as its thourough .po file for translation, widget areas on all pages and a simple theme option page for making your theme suit your needs perfectly.